We don't just kid around here! We've moved! We are now located in Suite 180 and have extended Thursday hours until 6pm. "Dr. Nuaman is the best hands down." "Dr. Nauman is everything I could ask for in a pediatrician!" "Such an amazing team! My Son loves it there! " "She's a true star & gem of person"
"We have seen Dr. Nauman since our first son was born in 2013, and absolutely love her!" 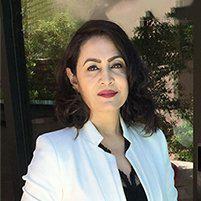 Dr. Nudrat R. Nauman of Advanced Pediatrics, located in Las Vegas, Nevada, is a top-rated, board certified pediatrician with over 13 years of experience in caring for newborns, children, and adolescents up to the age of 18. Dr. Nauman is recognized by her patients and their parents for her superior skills in treating the full scope of childhood ailments. She treats all kinds of common and uncommon illnesses and mental health concerns. Dr. Nauman also performs regular wellness checks, immunizations, nutritional, developmental and growth assessments and newborn circumcisions. She is equally appreciated for her obvious passion for what she does and her ability to put young patients at ease. Dr. Nauman describes her professional philosophy with a quote by Fyodor Dostoyevsky, “The soul is healed by being with children." It is the highlight of her day to be surrounded by children and it’s their innocence and honesty that motivated Dr. Nauman to enter the field of pediatrics. She received her medical degree from Aga Khan University Medical College and completed her residency in Pediatrics at Upstate NY, Syracuse. She is fluent in English, Urdu, and Hindi. In addition, Dr. Nauman has been recognized with awards, including Myvegas TOP 100 DOCS (2014-2016), Patients Choice Award (2010-2013), Compassionate Doctor Recognition (2010-2013), and Top Ten Doctor (2012) for Desert Shores. She is affiliated with both Summerlin Hospital & Medical Center and Mountain View Hospital. Dr. Nauman is a certified member of OMA (Obesity Medicine Association). The story behind the logo: "What started off as an 8 year old's desire to contribute to mamas vision, ultimately became our logo. It represents the colorful bond between parent and child." Denise is a retired military officer with over 27 years of service, including Desert Storm. She holds numerous degrees, including her doctorate. She completed her graduate studies for Pediatric Nurse Practitioner at Syracuse University. Denise has been an APRN since 1996, has worked with children all over Nevada. She is co-founder of a non-profit clinic for underserved children. She loves children and families, and it's her passion to work as a team member with them and empower children to have the best health possible. Denise has presented her Pediatric research/ projects nationally and locally. She has a zeal for life and loves being with Advanced Pediatrics. Born in Kalamazoo, Michigan. Raised here in Las Vegas. November of 2012 I graduated from Milan Institute an received my Medical Assistant Certificate and have been in the medical field for 5 years now. I have a son who I love and adore and spend most of my time with. I enjoy going on walks, shopping, reading books, and DIY projects. Bianca spencer has a sweet personality, and is a mother of two amazing boys. She was born and raised in California where she began her nursing career. Then relocated to las vegas to continue her career as a medical assistant, she enjoys working with children and adults. Bianca has hopes in becoming an RN in the near future. Carrie Slack - Back Office Lead M.A. "I have worked in the medical field for nine years, seven of which have been in pediatrics. I have always loved helping children, and to spend my work days with them has been so rewarding. I recently had my first child (a daughter), and being a mom has made me a much better pediatric MA"
Jasmine J. Williams has been a caretaker for the past five years. Born and raised in Chicago, IL. Jasmine moved here from Chicago in Oct of 2005 since then Vegas has been her new home. She graduated from Centennial High School in June of 2012, and then attended school at North West Career College for Medical Assisting where she immediately fell in love with the medical field she graduated in March of 2017. On her spare time she loves to spend time with her family, cook, do cute DIY's, take spontaneous road trips and shop. Jasmine also has one little princess who is her absolute pride and joy. DeOndra Robinson born and raised in Los Angeles California. Graduated from Crenshaw High School in 2001. Went to United Education Institute graduated in 2002. Moved to Las Vegas in 2010. Have been a MA for 16years with experience in various different fields. In my spare time love spending time with family and friends, and shopping. Graduate from northwest west career college from Colorado Springs, Colorado. I’ve always wanted to help and work with kids and I’m thankful for the opportunity to work with a great team and a great doctor. 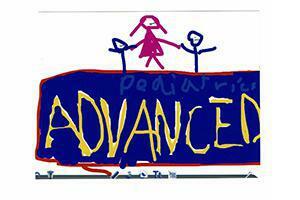 "I am so glad we have Dr. Nauman as our new pediatrician!!!! I will refer her all my family and friends." "My kids have been seeing Dr. Nauman for years. She is always nice and pleasant and has kept my kids up to date with their shots." "My children love Dr. Nauman and her staff! We are very thankful to have found her. When my children feel unwell I'm comforted knowing they are in her care." "We have seen Dr. Nauman for over five years now, and are very happy with her manner, and especially her wonderful personality." "I only have great experiences with this office. Dr Nauman is very attentive, and shows great care with her patients."